Aosta, Italy is a mountain town in the Italian Alps that dates all the way back to 100 B.C. You can feel the power and the history of city immediately upon your descent into the airport. Snowcapped mountain peaks line the horizon, and historic ruins of a past civilization fill the area with a sense of inspiration and awe. 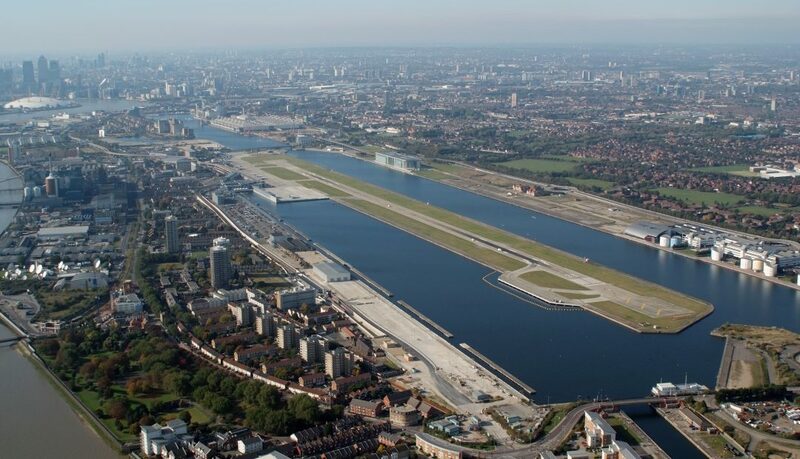 London City Airport is aptly named because it’s an airport located directly in the middle of a city. And not just any city…but London. The airport is surrounded by the financial towers of London’s Canary Wharf and the world famous O2 Arena. It’s quite rare to find airports like this that are located so close to CBDs because they’re not able to operate large aircraft. Knowing this, and knowing that business travelers want to be as close to their work as possible, British Airways operates an all-business-class A318 from London City that serves as the smallest trans-atlantic commercial air route in the world. BA Flight 1 carries only 34 passengers, each having lie-flat seats and full business-class service. Here’s another city-side airport on our list, proving that passengers love a good skyline view when landing and taking off. 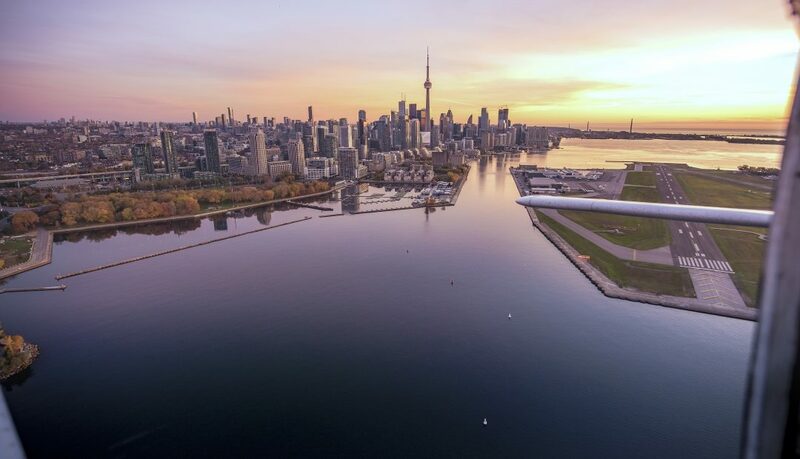 What makes Billy Bishop even more stunning than London City is that the entire Toronto skyline sits directly beside the airport. 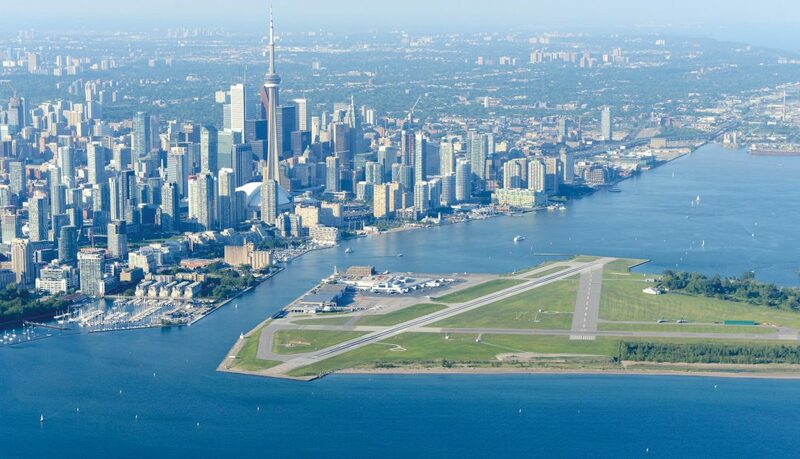 Furthermore, Billy Bishop is built on a small island in Lake Ontario. That’s a combo of city views and lake views…if this airport were a hotel, imagine the price per-night! Boutique airline Porter realized the allure of such a beautiful airport being located so conveniently close to a city center, and decided to use Billy Bishop as its hub. 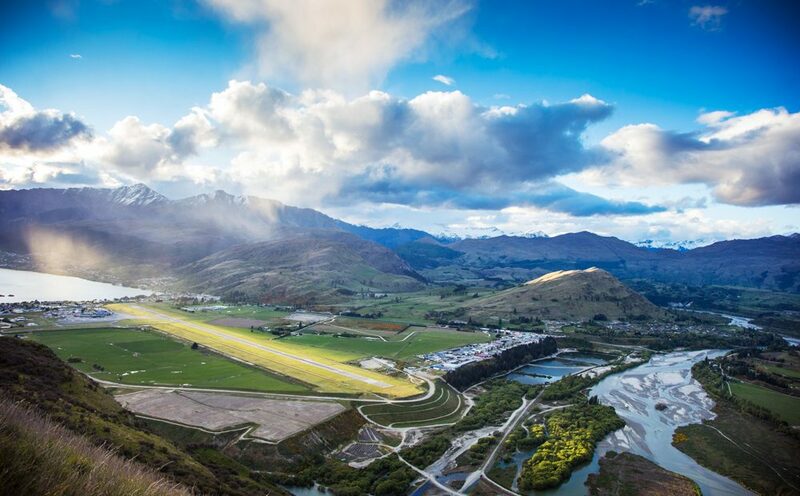 Roaring rapids, beautiful blue lakes, rolling green fields, snow-covered mountains…Is it any wonder that Queenstown made the #7 spot in this listing? New Zealand is used as the setting for so many fantasy movies for a reason…it’s so beautiful, it’s hard to believe it’s real. Whether you’re arriving in the winter for ski season, or are kayaking during the summer months, one thing is for sure—your vacation begins as you descend into the airport, feeling like you’ve been transported to a different world. So… I’ll be honest with everyone. Looking at this picture makes me want to leave my life behind and run away to this Caribbean island paradise this very moment. 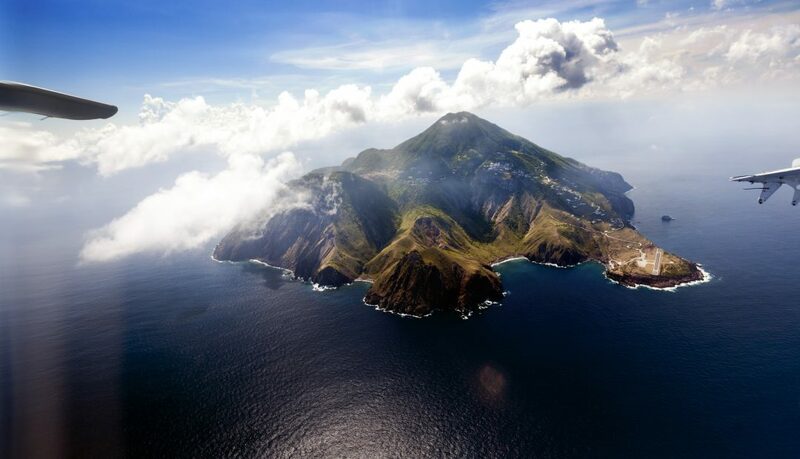 Nicknamed the “Unspoiled Queen of the Caribbean,” Saba is a true island paradise. With less than 2,000 residents, and a majority of tourists coming for activities like scuba, rock climbing, and hiking, the island makes it its mission to remain pristine. In fact, Saba has dedicated itself to being powered by 100% renewable energy in order to remain the unspoiled queen that she is. Surely you’ve all seen these pictures countless times in your life. Standing beneath the landing airplanes in St. Maarten has become a rite of passage for travelers. 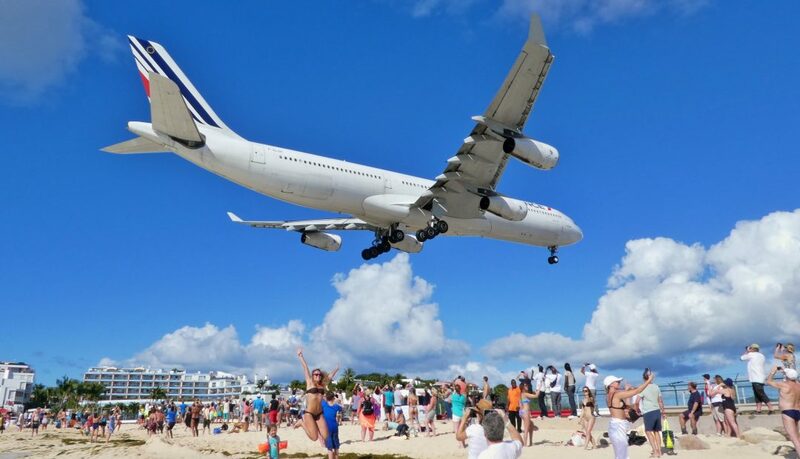 People from all over the world come to this Caribbean island just to spot planes! And can you blame them? It’s a once-in-a-lifetime experience that results in one the world’s most epic photo-ops. Where else can you stand directly under a 770,000 lb. object soaring at over 100 mph? Florida is known for it’s beautiful waters, sunny skies, and warm weather. 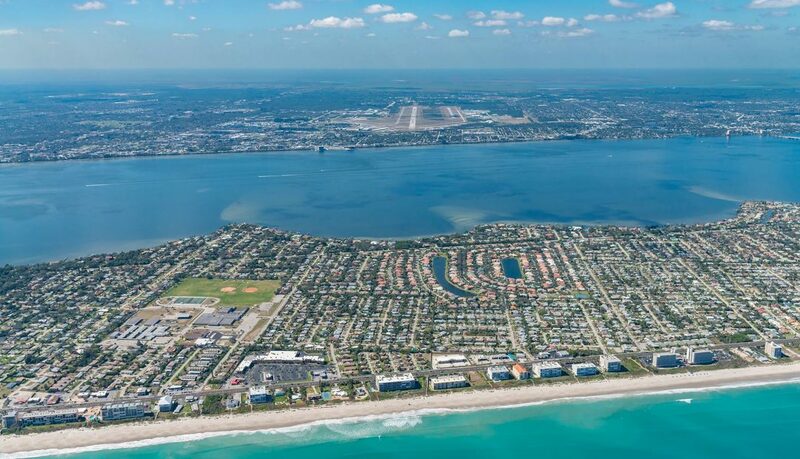 And you’ll be able to feel that the second you start your descent into Orlando – Melbourne airport. Emerald oceans and blue skies meet on the horizon as you fly into this truly stunning tropical paradise. During landing you pass by the Kennedy Space Center on Cape Canaveral, so keep your eyes peeled and you may just see a rocket on the launchpad! We’ve reached our top 3! Nice, France is located directly next to Monaco, on the Mediterranean Sea in the French Riviera. Or, to put it more simply for you, it’s located in paradise. It’s no wonder that this region is known as the Cote d’Azur, or, the Coast of Azure. Every corner of this region shines with sunbursts of natural beauty. 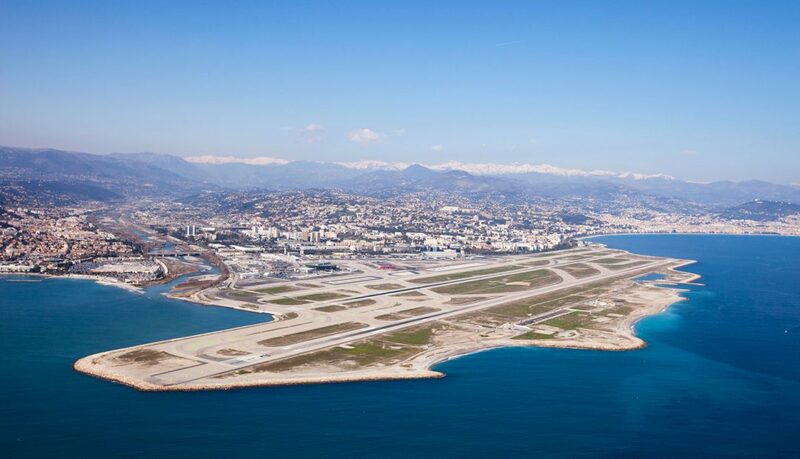 And what better way to arrive in the French Riviera than to land directly next to the sparkling Mediterranean Sea? I can’t think of a better way to start my vacation. 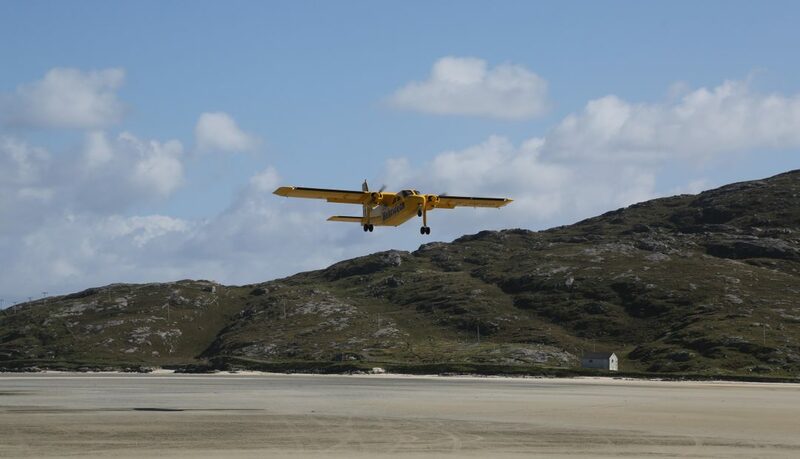 Barra airport in northern Scotland is world-famous because the airport doesn’t have a paved runway—planes just land right on a sandy beach. Most airports are scenic because of their surroundings, whereas this airport is the scenic surrounding. My question is… what if the tide isn’t out? 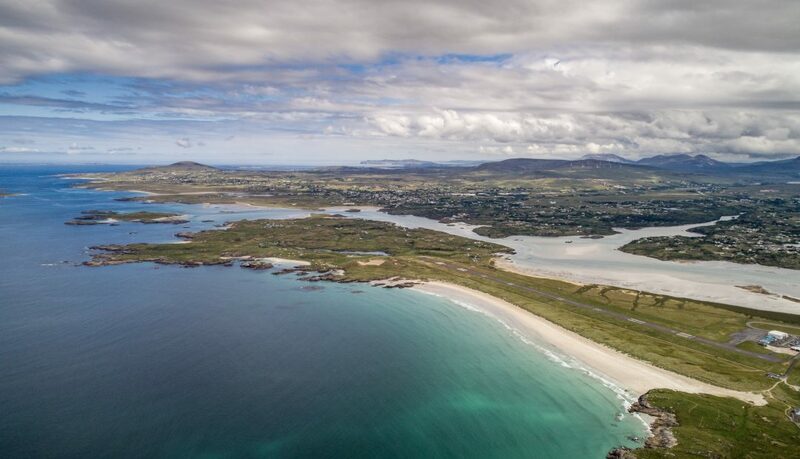 Our winning airport is Donegal in the north of Ireland. This is truly a place where legends are born. The runway is located on the heaths and heaters of a small island next to the deep seas of the Atlantic. Looking inland you can see the famous Mount Errigal, a picture-worthy mountain steeped in Irish history. 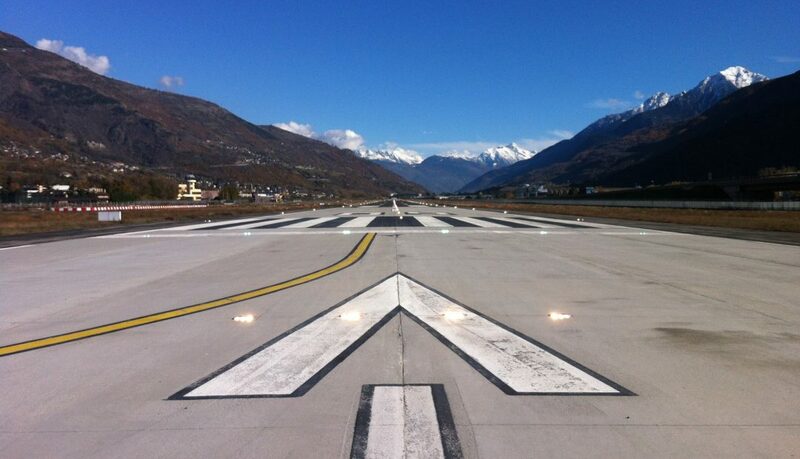 So there you have it, the world’s 10 most scenic airports. What do you think? Any airports you would have liked to see on the list that didn’t make it?